David Lee is from Birmingham, Alabama. His show is one of the most authentic, most professional show around. It is done with the utmost class and respect for Elvis and suitable for any age group. David Lee is a dynamic performer with an outstanding voice and has been performing his tribute to Elvis since 1995 throughout the United States, Canada, Mexico and on the high seas. David Lee was named by Elvis Presley Enterprise the 2015 ULTIMATE Elvis. This makes David Lee a two time World Champion as he is also the 2004 WORLD CHAMPION International Images of the King, voted the 2004 People's Choice and the CANADIAN GRAND CHAMPION ~ Professional Division Concert Years World's Largest Elvis Festival Collingwood Ontario July 2004. Furthermore, he is the CANADIAN GRAND CHAMPION Brantford, Ontario Elvis Fest 2001. On August 8, 2015 The Elvis Presley Birthplace unveiled a new Elvis Statue representing the 1970's era. David Lee is proud to have been the model for this statue. Also, David Lee was given the key to the City of Tupelo by the Mayor as well as he was given the state flag which flew over the capitol. This honor was thanks for David Lee's efforts in assisting the Birthplace in obtaining the Legislative support in receiving 1 million dollars allocated to new expansion projects at the Birthplace. On January 4, 2014, as part of an Elvis Birthday pre-celebration, DAVID LEE was honored with his name forever embossed in a brick at the base of the famous Elvis Statue in Fair Park in Tupelo, MS. The inscription reads, “DAVID LEE 2012 TUPELO ELVIS FESTIVAL CHAMPION PROUD TO BE A PART OF THE TUPELO TRADITION”. Also, the proprietor of the Silver Moon Club, Charlie Watson, placed David Lee’s name on the gigantic metal guitar outside of the establishment. David Lee’s name is alongside other famous people such as Lisa Marie Presley, Sam Phillips, Ace Cannon, Carl Perkins, Eddy Arnold, Sonny Burgess and of course, Mr. Elvis Presley, just to mention a few. David Lee is proud to be the first performer at the new auditorium at the Elvis Presley Birthplace in May 2013. He portrays some of the live footage of Elvis. in Duke & The King. A documentary which reveals the compelling story of Elvis Presley’s former bass player, Duke Bardwell. The World Premiere was April 22, 2012. There are numerous accolades to adding to David Lee's long list of prestigious awards; David Lee won the Gospel Competition in July 2014 at the Collingwood Elvis Festival. It's the World's Largest Elvis Festival held in Ontario Canada. Also, David Lee was a Triple Crown winner (People's Choice, 70's Pro and Gospel) at the Lake George, NY Elvis Festival, in June 2014. He was the first person in the 11 year history of this contest to win all three categories plus have the overall top score. David Lee is in the book "NEXT GENERATION KINGS" by Joseph Clough and Teresa Winston released July 2011. Also, David Lee is in the first book by Joseph Clough & Teresa Winston released August 2010 called "All the Kings Men". 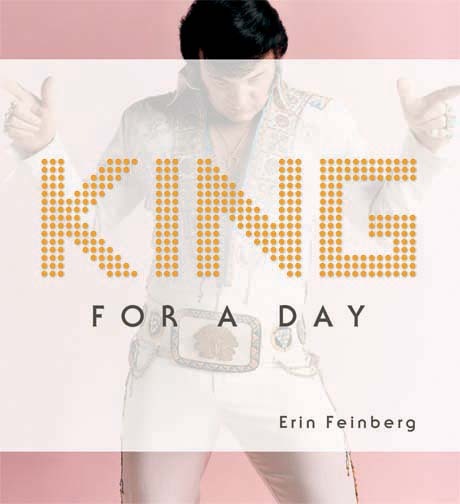 Also, The book "King For A Day" by Erin Feinberg released in August 2007 features David Lee not only in the book but on the cover. "Journey To Graceland" is an original song out by David Lee written by David Bradley/Blair Parrott. It was nominated for top Elvis Tribute song of the year in 2005. It is available on itunes.com, amazon.com and the google play app for androids. David Lee brings in nominal crowds where ever he performs. He has a vast following and would be an asset to any entertainment schedule. Elvis entertainment like you've never seen before. You will ask yourself is this the real thing or a tribute act; A definite crowd pleaser. Furthermore, David Lee was noted on Elvis.com and ElvisTheMagazine.com as one "of the finest Elvis tribute artists in the world". 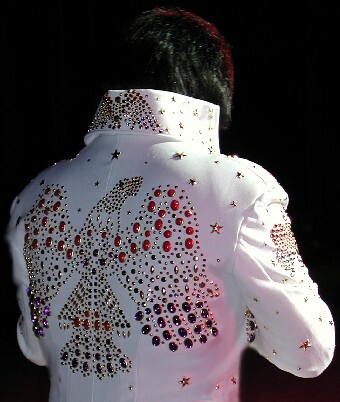 He performed in the first Elvis Tribute Artist event licensed by Elvis Presley Enterprises, Inc. (EPE) as an officially sanctioned Elvis Week 2005 event. He considers it an extreme honor to perform to fans and people who really love Elvis as he does. He hopes that in closing you will feel a taste of what it was like to watch Elvis in concert. David Lee has become well known across North America. He is a "World Class-Award Winning" Entertainer, with numerous successful performances/appearances to his credit including TV appearances on the "Ricki Lake Show" and the hit show "Insomniac". Elvis is gone and irreplaceable but David Lee’s tribute hopes to do him justice. David Lee is featured in the documentary Duke & The King by wannabefilms - April 2012. Family & Business Entertainers category by the US Commerce Association. Featured in the book "All the Kings Men" by Joseph Clough & Teresa Winston - August 2010. Featured in the book "Elvis Lives" by Pamela Williams - July 2003. Featured in the book "Walk A Mile In Their Shoes" by JuMel - January 2002. David Lee is available for private or commercial events.